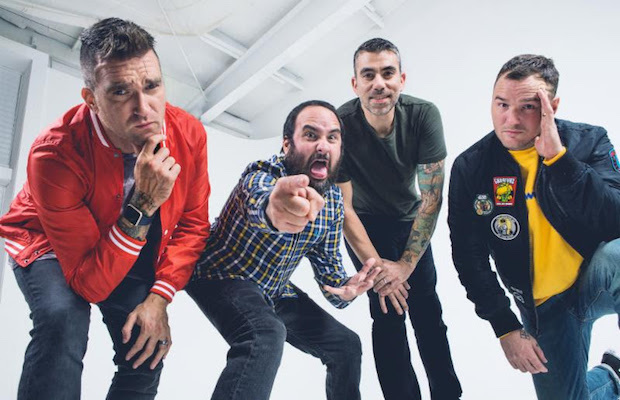 As we announced last month, pop punk pioneers New Found Glory are celebrating their 20th anniversary with a lengthy spring run of shows where, each night, they’ll perform two of their classic albums in full, rotating a different combination for each city, with 2004’s Catalyst and 2002’s Sticks and Stones, arguably their two most famous releases, on tap for a May 18 end of tour stop at Exit/In. While the show promptly and unsurprisingly sold out (you have a few months to keep an eye out for resale tickets if you’re dying to go), we still have a the group’s ninth album, Makes Me Sick, to look forward to on April 28. Ahead of its release, NFG recently debuted a new video for lead single “Happy Being Miserable.” Shot right here in Nashville, where the band also worked on the album and some members now call home, and helmed by director Max Moore, the spot is funny and gross and everything you’d expect from one of the most dependable bands in pop punk. Watch “Happy Being Miserable” below!